Stoptober is an NHS campaign aimed at supporting people who want to quit and helps thousands of people annually. Head of Foundation John Davis said: “We’re delighted to be working with SmokeFree Doncaster to support this important campaign. It’s widely reported that you’re more likely to quit with the right support and that’s what’s on offer with just the click of a button. 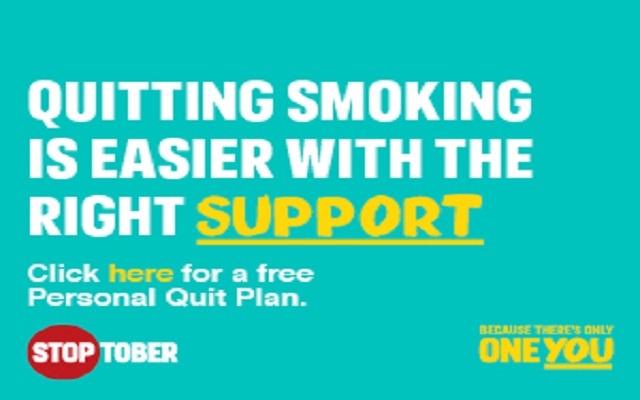 Stoptober is a great opportunity for smokers to quit and the most successful way to quit, by far, is with support from your local NHS stop smoking service. Yorkshire Smokefree Doncaster offers free expert support and free nicotine replacement products which means that smokers are five times more likely to quit compared to willpower alone. Yorkshire Smokefree provides flexible support to suit you, either through face to face or telephone sessions or through an innovative online quit programme. To get the right support for you click on the link below or call 08006120011. As an added incentive for Doncaster residents in October, all participants that sign up and complete the programme will be eligible for a free ticket to watch DRFC at the Keepmoat Stadium in December. Terms and conditions apply.